Jee Hyun Kim is a Friend of The Conversation. The Conversation is funded by CSIRO, Melbourne, Monash, RMIT, UTS, UWA, ACU, ANU, ASB, Canberra, CDU, Curtin, Deakin, Flinders, Griffith, JCU, La Trobe, Massey, Murdoch, Newcastle, QUT, SAHMRI, Swinburne, Sydney, UNE, UniSA, USC, USQ, UTAS, UWS, VU and Wollongong. Memories from early childhood are notoriously elusive but why can’t we recall our most formative experiences? New research suggests it could be a case of the old making way for the new – neurons, that is. A study, published today in Science, has found that neurogenesis – the generation of new neurons – regulates forgetting in adulthood and infancy and could significantly contribute to the phenomenon of “infantile amnesia”. Throughout life, new neurons are continually generated in the dentate gyrus, part of the brain’s hippocampus. This is one of only two areas in the mammalian brain that consistently generates neurons after infancy, aiding the formation of new memories of places and events. These new neurons compete for established neuronal connections, altering pre-existing ones. By squeezing their way into these networks, new neurons disrupt old memories, leading to their degradation and thus contributing to forgetting. Neurogenesis is particularly rampant in humans during infancy but declines dramatically with age. So researchers hypothesised that this increased disruption to hippocampal memories during childhood renders them inaccessible in adulthood. To investigate the correlation between neurogenesis and forgetting, a team from the University of Toronto conducted a series of tests on mice, guinea pigs and a type of small rodent called degus. First, a group of infant and adult mice were trained to fear a certain environment through the use of mild electric foot shocks. Some of the adult mice were then provided access to running wheels, an activity that has been shown to boost neurogenesis. When returned to the initial environment, the adult mice who used the running wheels had largely forgotten their fear of the electric shocks, while those without the wheels maintained an association between the space and fear. From the group of infant mice a number were given drugs to slow the rate of neurogenesis to see if decreasing the generation of new neurons mitigated the forgetting normally observed in infant mice. In accordance with the researchers’ hypothesis, the ability of these animals to retain memories improved in comparison to their untreated counterparts. The study was then moved to rodents whose infancy period distinctly differs from mice – and humans – guinea pigs and degus. These rodents have a shorter postnatal hippocampal neurogenesis because they are more neurologically mature at birth. That means they have extended memory retention as infants so those animals were given drugs to artificially increase neurogenesis – which resulted in forgetting. Psychologist Dr Amy Reichelt, from the University of New South Wales, said it was good the study used infant guinea pigs and degus. “These animals are born in a ‘precocious’ way – they are basically miniature adults – able to run about independently, as opposed to mice, rats and humans who are vulnerable and dependent at birth,” she said. Previous studies have examined the relationship between hippocampal neurogenesis and memory, with a focus on its importance in the consolidation of memories in adult animals. But they have not considered how neurogenesis can also jeopardise memory retention. Behavioural psychologist Dr Jee Hyun Kim, Head of the Developmental Psychobiology Lab at Melbourne’s Florey Institute of Neuroscience and Mental Health, said: “It has long been speculated that the ‘immaturity’ of the hippocampus may be responsible for infantile amnesia. Back in the days ‘immaturity’ was interpreted as dysfunctional, or low in function. Infantile amnesia is not restricted to hippocampus-dependent memories in humans and animals. Dr Kim said it was likely that neurogenesis formed only a part of the story. “I wouldn’t be surprised if we find undiscovered neurogenesis in other parts of the brain,” she said. But does this research hint at ways of improving memory retention in the future? “It would not be feasible to discourage neurogenesis and reduce forgetting of existing memories,” Dr Kim said, “as adult neurogenesis has a well-established link to depression (low neurogenesis means high depression)”. Surprisingly, it’s the other side of the coin that promises more potential opportunities. Harnessing neurogenesis to destabilise pre-existent memories could have its own benefits. Dr Kim said depressed or anxious people may want to forget and focus on creating better memories and/or thought patterns. This can be especially constructive for children who experience trauma in early life, Dr Reichelt said. “Increasing neurogenesis could be a useful therapy to treat or prevent the onset of post-traumatic stress disorder,” she said. Nutrition celebrities often promote strict diets that eliminate entire food groups. Not only are they based on flimsy evidence, some of their advice can lead to serious harm. Rebecca Reynolds is a registered nutritionist and the owner of Wholesomely, www.wholesomely.com.au, a nutrition company that provides evidence-based information and advice. UNSW Australia is not a member of The Conversation and does not financially support the project. Find out more. The Conversation is funded by CSIRO, Melbourne, Monash, RMIT, UTS, UWA, ACU, ANU, ASB, Baker IDI, Canberra, CDU, Curtin, Deakin, Flinders, Griffith, the Harry Perkins Institute, JCU, La Trobe, Massey, Murdoch, Newcastle, UQ, QUT, SAHMRI, Swinburne, Sydney, UNDA, UNE, UniSA, USC, USQ, UTAS, UWS, VU and Wollongong. 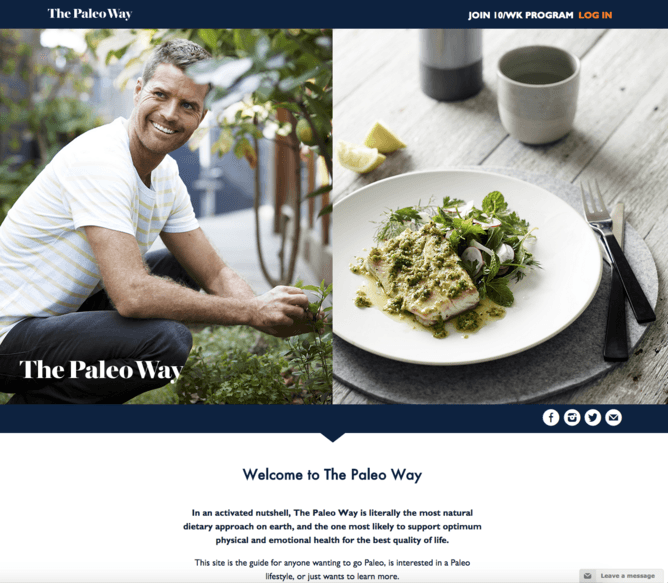 It’s no surprise that the British Dietetic Association listed the paleo diet and the sugar-free diet as two of their top five worst celebrity diets. Antidepressants may be no better than a placebo, so why take them? Paul Biegler has received funding from the Australian Research Council. He is a former emergency physician and the author of The Ethical Treatment of Depression: Autonomy through Psychotherapy (MIT Press 2011) which won the Australian Museum Eureka Prize for Research in Ethics. Placebos are sham treatments that work even though they lack an active ingredient. Pills made of sugar or corn starch have improved Parkinson’s disease, anxiety and pain. Now research suggests placebos may be as good as real drugs for treating depression. In this most recent study, people with at least moderate depression received support and encouragement alone, or coupled with an antidepressant or a placebo. Those who received an antidepressant or placebo did better than those who got only support. But placebos improved depression nearly as much as the active drug and the difference wasn’t significant. An earlier review found antidepressants offered minimal benefit over placebos except in very severe depression, where the benefit was substantial. And a 2008 study found antidepressants were no more effective even in severe depression; very depressed people were just less responsive to placebos. One theory suggests placebos work because people expect them to. A grave doctor and austere consulting room help convince patients a drug works. Indeed, believing a dummy pill stops pain triggers endorphins in the same brain area targeted by real painkillers. Another theory cites Pavlov’s dogs, who, after a while, just had to see the white coats of the assistants who brought their food to start drooling. This conditioning theory suggests people only need to see the pill, cream or syringe to get the intended effect, even without the active drug. But we know active drugs cause placebo effects too. Painkillers work a lot better when a medical person says they will work. A 1998 study claimed placebo effects accounted for an estimated 75% of the effects of antidepressants. Nonetheless, the drugs still figure prominently in Australian guidelines and in 2012-13 Australian doctors wrote 20.5 million prescriptions for antidepressants. 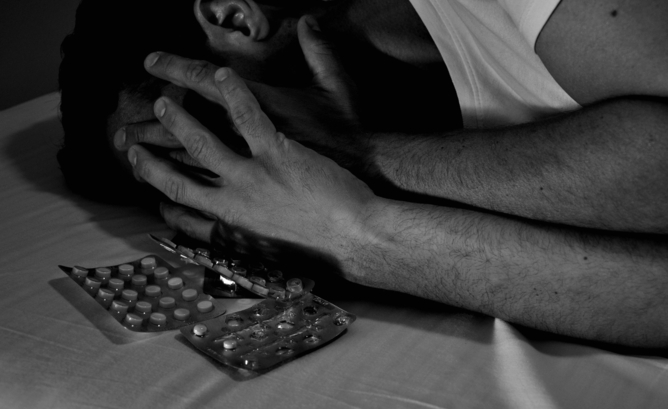 But if antidepressants are little better than a placebo, why do so many people take them? Well, the placebo data have been criticised, among others, for selective analysis of studies. They may be wrong. And there are reasons why doctors and patients might favour medication that could help even a little. A busy waiting room makes speedy prescription writing attractive; advertising could make doctors think of drugs as the first option; patients often want a “quick fix”; and our culture reinforces drugs as a natural response to illness. A trickier question is whether doctors should even prescribe antidepressants if they are really just placebos. But placebos can be powerful and some argue we shouldn’t jeopardise their strength by telling patients. A 2008 US study of 1,200 doctors found more than half prescribe placebos, often vitamin pills. But there may be differences between countries too. Direct-to-consumer advertising of prescription drugs, legal only in the United States and New Zealand, may influence placebo responses. Advertisements for drugs show dramatic improvements that heighten expectations. Pictures of smiling people and beautiful scenery also promote positive attitudes and beliefs. Some think advertising is the reason placebos in antidepressant drug trials have become 14% more effective in the last 20 years. And people with depression may show stronger placebo responses. Psychologist Irving Kirsch thinks this is because hopelessness is so dominant in depression. Placebos give hope so they may work better for this particular illness. Nonetheless, the American Medical Association has vetoed the use of deceptive placebos, saying they undermine trust, frustrate patient autonomy and delay proper treatment. But a 2010 study showed placebos work even if you tell the patient. Others argue real drugs are actually superior placebos. In blinded drug trials, people who get side effects often work out they’re on the real drug and not the placebo. This makes them expect to improve, so the placebo effect kicks in. But this too gets complicated because placebos can also cause side effects. This “nocebo” phenomenon happens when people expect bad things from a sugar pill. Maybe placebos will work better if the doctor “suggests” some side effects too? An alternative to grappling with this often conflicting information is to raise the profile of non-drug treatments for depression. Psychotherapies such as cognitive behavioural therapy are as good as drugs, except for people with severe depression. But adding another twist is a recent study that showed psychotherapy isn’t significantly better than a pill placebo for depression. Still, psychotherapy does provide important knowledge that promotes autonomy, a factor not measured in study comparisons. Many active treatments are effective partly because of the placebo effect. The effect is strong in antidepressants, a fact that may need to be disclosed to patients to ensure fully informed consent. Whether sugar placebos should ever enter medical practice is another question entirely, and one that invites wide community debate. Should I choose a gluten-free diet? Fiona Willer does not work for, consult to, own shares in or receive funding from any company or organisation that would benefit from this article, and has no relevant affiliations. Provides funding as a Member of The Conversation. Gluten is a protein found in the grains wheat, rye and barley. For people with the autoimmune condition coeliac disease, eating foods that contain gluten can damage the lining of the intestines. Over time, this damage can lead to nutritional deficiencies, osteoporosis and cancer. 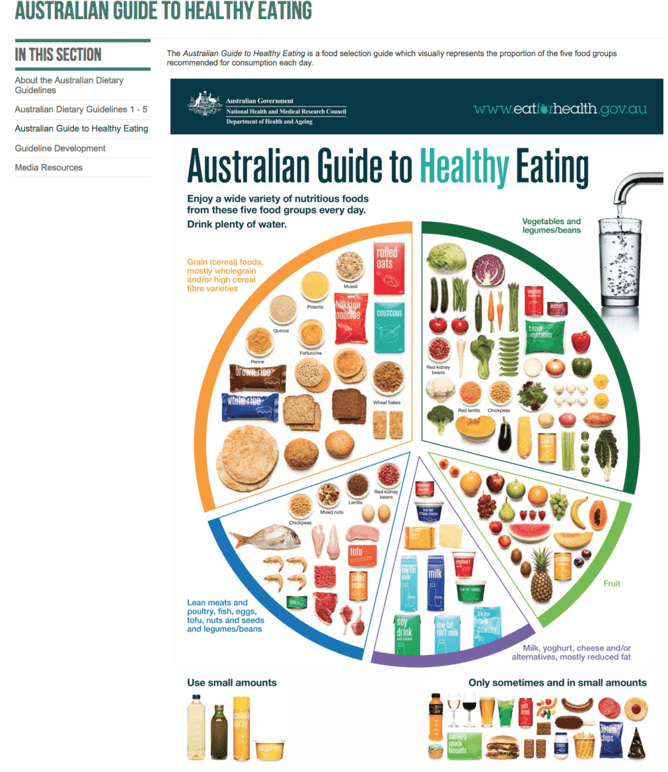 Coeliac disease affects 1% of Australians, though only one in five of those may know they have it. The only way to diagnose coeliac disease is to have a positive intestinal biopsy. People with coeliac disease must follow a gluten-free diet; there is currently no other treatment. But others are also choosing to go gluten-free. According to the latest National Health Survey, 2.5% of Australians aged two or over reported avoiding gluten (about 544,000 people). This means that 1.5% or 326,000 people may be unnecessarily avoiding gluten. So, is a gluten-free diet warranted by anyone but people with coeliac disease? The alternative medicine crowd would have you believe gluten- and grain-based foods cause a host of nasties from dementia to cancer. Others tout gluten-free diets as a helpful weight-loss tool. And the grain-avoiding paleo philosophy rules the lives of some vocal, yet otherwise sensible, Australians. It’s no wonder some people are questioning their gluten intake. But rest assured, there is no credible evidence grain-based foods cause disease. Nor is there any evidence gluten-free diets aid weight loss, though there is strong evidence to the contrary. While it’s certainly helpful for long-term health to reduce processed foods, grains form the staple foods of many societies and provide key nutrients. 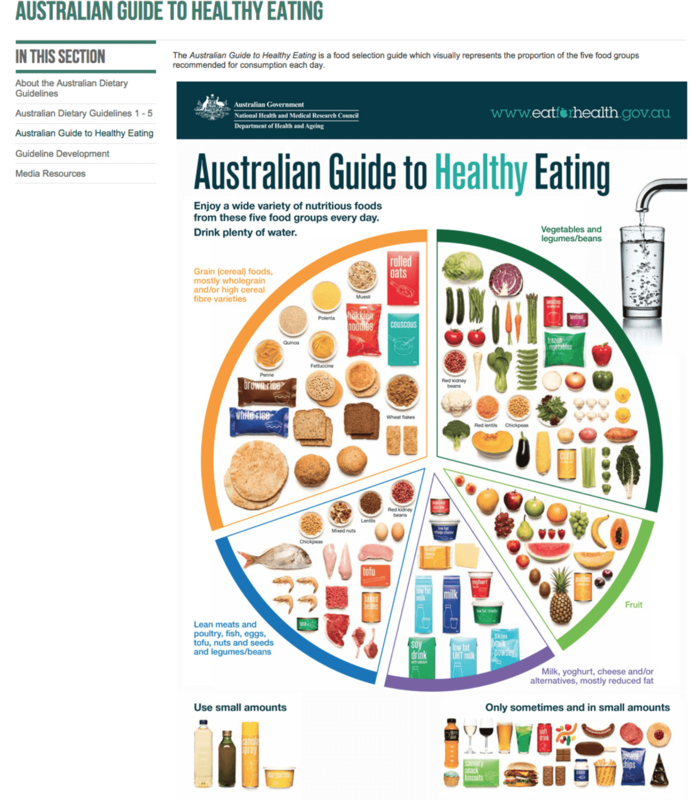 The Australian Guide to Healthy Eating encourages a variety of grain-based foods precisely because these foods make achieving nutritional adequacy more straightforward and are culturally appropriate for the majority of Australians. For some people, reducing wheat can help reduce uncomfortable gastrointestinal symptoms. Wheat also contains fructans, a form of fibre which is rapidly fermented by bowel bacteria. This can lead to flatulence and discomfort in some people. Many irritable bowel syndrome (IBS) sufferers have achieved good symptom control following a low FODMAP diet, which restricts a number of carbohydrates (fermentable oligosaccharides, disaccharides, monosaccharides and polyols) which can be poorly absorbed in the small intestine. Fructans are one such carbohydrate. Non-coeliac gluten sensitivity is a fall-back diagnosis if symptoms are not relieved with a low fodmap diet. But a recent small but clever study now disputes the diagnosis all together. All the food for the study participants was provided and the diets were controlled for gluten, FODMAPs, and food chemical components known to elicit responses in food sensitive people (such as salicylates, amines and glutamates). Many participants reported symptoms, but they weren’t being caused by gluten. There is clearly more work to be done here but it looks like gluten has been unfairly accused. People who avoid gluten without a medical reason and without individualised dietetic advice are at risk of nutrient inadequacies, especially if an unplanned pregnancy occurs. Even with expert advice from a dietitian, people with coeliac disease do not easily achieve nutrient adequacy. A recent study of the gluten-free diets of new and experienced coeliacs found that significant numbers of adult female participants did not achieve the recommended dietary intakes (RDI) or even the population averages of thiamin, folate, calcium, iron or fibre. The most concerning of these nutrients is folate. Australian women of child bearing age have the highest prevalence of gluten avoidance: 5% of 19- to 30-year-olds and 4.8% of 31- to 50-year-olds. This is not surprising, given women are more likely to suffer from IBS and also more likely to diet with the intention of weight control. Folic acid (folate) has been added to wheat flour in Australia as a public health measure since 2009 to help prevent neural tube defects such as spina bifida in babies. Fortification of the food supply is particularly helpful given that up to 50% of pregnancies are unplanned and folate should be consumed for at least a month before conception. But gluten-free breads are not routinely fortified with folate and gluten-free grains and vegetable starches are not rich sources, leaving those following a gluten-free lifestyle without a folate safety net. What about the health claims? Gluten-free foods may be found in the health food aisle of the supermarket, but the reality is gluten-free food manufacturers chase dollars, not health. 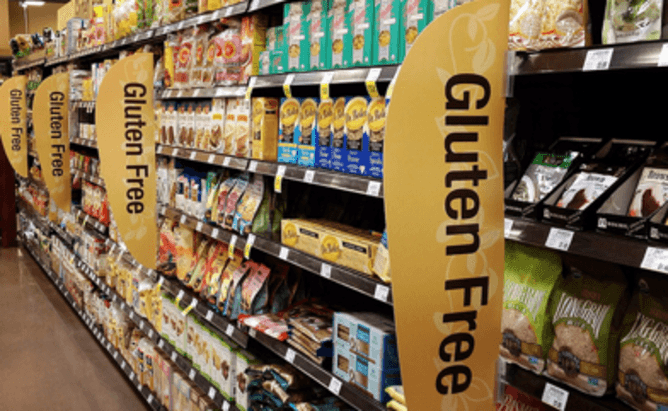 In the rush to meet consumer demand, many food manufacturers have prioritised meeting gluten-free criteria and palatability over true substitution for gluten. Foods that are naturally gluten free are now even being labelled gluten-free in order to capitalise on this growing market. To be truly helpful for their consumers, manufacturers need to take measures to keep their products nutrient-rich, not just gluten free. 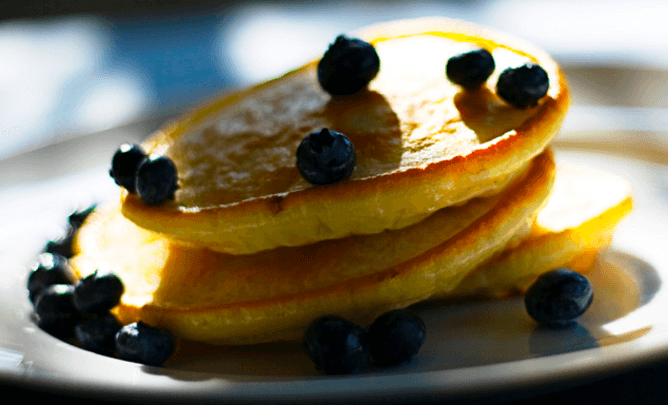 Regardless of whether the reason to follow a gluten-free diet is medical or philosophical, it’s important to focus on achieving adequate nourishment. 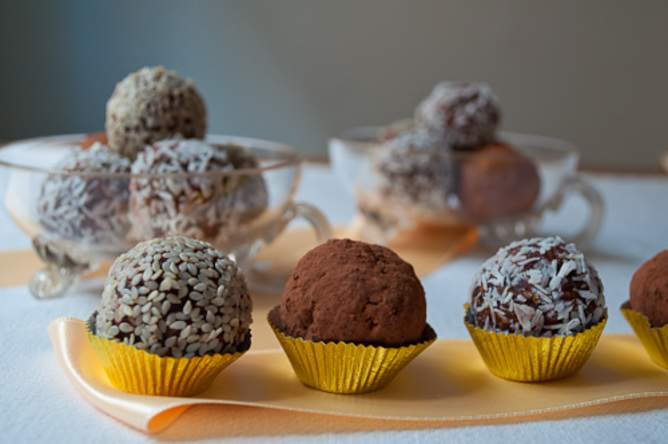 A nutritionally adequate gluten-free diet needs to be well planned and well executed. It’s not simply a matter of cutting out grains and choosing labels which say “gluten free”. Understanding weight gain at menopause. Many women are concerned that oestrogen will make them gain weight. The evidence shows the opposite. Climacteric. 2012 Oct;15(5):419-29. doi: 10.3109/13697137.2012.707385. Davis SR1, Castelo-Branco C, Chedraui P, Lumsden MA, Nappi RE, Shah D, Villaseca P; Writing Group of the International Menopause Society for World Menopause Day 2012. The aim of this review was to summarize the literature regarding the impact of the menopause transition on body weight and body composition. We conducted a search of the literature using Medline (Ovid, 1946-present) and PubMed (1966-2012) for English-language studies that included the following search terms: ‘menopause‘, ‘midlife’, ‘hormone therapy’ or ‘estrogen’ combined with ‘obesity’, ‘body weight‘ or ‘body composition’. Whereas weight gain per se cannot be attributed to the menopause transition, the change in the hormonal milieu at menopause is associated with an increase in total body fat and an increase in abdominal fat. Weight excess at midlife is not only associated with a heightened risk of cardiovascular and metabolic disease, but also impacts adversely on health-related quality of life and sexual function. Animal and human studies indicate that this tendency towards central abdominal fat accumulation is ameliorated(reduced) by estrogen therapy. Studies mostly indicate a reduction in overall fat mass with estrogen and estrogen-progestin therapy, improved insulin sensitivity and a lower rate of development of type 2 diabetes. The hormonal changes across the perimenopause substantially contribute to increased abdominal obesity which leads to additional physical and psychological morbidity. There is strong evidence that estrogen therapy may partly prevent this menopause-related change in body composition and the associated metabolic sequelae. However, further studies are required to identify the women most likely to gain metabolic benefit from menopausal hormone therapy in order to develop evidence-based clinical recommendations. Transdermal bio-identical progesterone cream as hormonal treatment for osteoarthritis. Another interesting benefit from Bioidentical hormones. Oestrogen is also good for joints,(see my Blog from Dec 2013), as is Omega 3, cinnamon and turmeric. Acta Med Indones. 2013 Jul;45(3):224-32. Wardhana1, Surachmanto EE, Datau EA, Ongkowijaya J, Karema-Kaparang AM. Osteoarthritis (OA) is a condition found worldwide, is strongly associated with aging and is the most common type of arthritis. Because of its effect on ambulation and mobility, it has significant functional impact and is associated with considerable medical costs. Because of the aging of the society and the obesity epidemic, the burden of OA can be expected to increase over the next 20 years. Although OA has been regarded primarily as a non-inflammatory arthropathy, symptoms of local inflammation and synovitis are present in many patients and have been observed and even in the absence of classical inflammation, which is characterized by infiltration of neutrophils and macrophages into joint tissue, elevated levels of inflammatory cytokines have been measured in OA synovial fluid. Although the cartilage lesion is present at sites remote from synovium, the fibroblast- and macrophage-like synovial cells, as well as the chondrocytes itself, are potential sources of cytokines that could induce chondrocytes to synthesize and secrete cartilage-degrading proteases, cytokines, and other inflammatory mediators. The bio-identical progesterone shows its anti-inflammatory effects in OA by suppressing gene expressions in the production of inflammatory cytokines through the negative interaction between nuclear transcription factor and the progesterone receptor and/or the progesterone-induced increase of nuclear transcription factor inhibition in the nucleus. The bio-identical progesterone may indirectly regulate bone remodeling and may also play a role in the development and maintenance of cartilage. This review will discuss about transdermal bio-identical progesterone cream as suggested hormonal treatment of OA, based on its pathogenic process. Food Allergies or Food Intolerance? A small minority of adults – less than five percent – have true allergies to foods. Common food allergens include milk, eggs, peanuts, tree nuts, shellfish, soy and wheat. When true food allergies occur, the immune system reacts to a benign substance as if it were a harmful one, and produces antibodies against it, releasing histamines and other compounds in the process. This causes symptoms such as a tingling mouth, hives, swollen tongue and throat, drop in blood pressure, or even anaphylactic shock. Food intolerance – which is much more common – may produce less serious but still uncomfortable symptoms (diarrhea, gas, headaches or flushing). Food intolerance may be due in part to a lack of enzymes needed to break down food. If you feel you have a true food allergy, or have been bothered by symptoms of food intolerance, talk with your physician about your concerns; he or she can arrange tests to determine what, if anything, is causing allergies or intolerance. 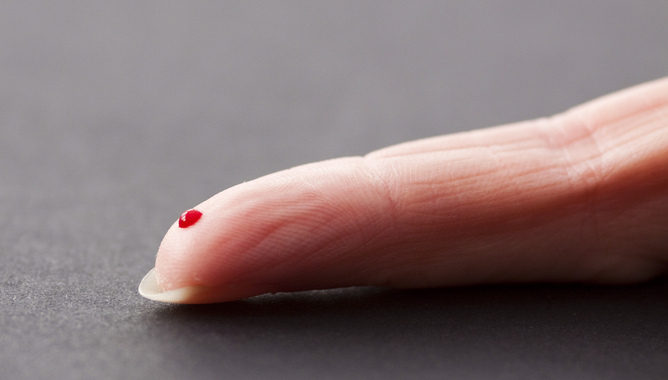 Food intolerance can often be difficult to nail down with testing. Consider a two to three-week trial of an elimination diet, taking out the most common offenders above. If improved, gradually add back foods one at a time and gauge any reaction. Pathological actions of cholesterol in breast cancer. The estrogen receptor as a mediator of the pathological actions of cholesterol in breast cancer. McDonnell DP1, Chang CY, Nelson ER. Despite increased survivorship among patients, breast cancer remains the most common cancer among women and is the second leading cause of cancer death in women. The magnitude of this problem provides a strong impetus for new chemopreventative strategies and/or lifestyle changes that reduce cancer incidence. It is of significance, therefore, that several studies positively correlate obesity to the development of breast cancer. Importantly, obesity is also highly associated with elevated cholesterol, and cholesterol itself is a risk factor for breast cancer. Furthermore, patients taking statins demonstrate a lower breast cancer incidence and decreased recurrence. The recent observation that 27-hydroxycholesterol (27HC) is produced in a stoichiometric manner from cholesterol, together with our recent demonstration that it exerts partial agonist activity on both the estrogen and liver X receptors, suggested a potential mechanistic link between hyper-cholesterolemia and breast cancer incidence. Using genetic and pharmacological approaches, we have recently shown that elevation of circulating 27HC significantly increases tumor growth and metastasis in murine models of breast cancer. Further, we have demonstrated in appropriate animal models that the impact of high-fat diet on tumor pathogenesis can be mitigated by statins or by small molecule inhibitors of CYP27A1. These findings suggest that pharmacological or dietary modifications that lower total cholesterol, and by inference 27HC, are likely to reduce the impact of obesity/metabolic syndrome on breast cancer incidence. What do my blood pressure numbers mean? 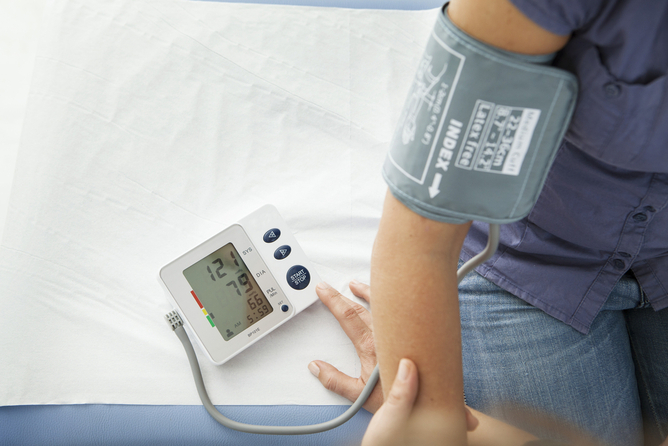 Health Check: what do my blood pressure numbers mean? Michael Tam is a general practitioner and consults with patients who have hypertension. He otherwise does not work for, consult to, own shares in or receive funding from any company or organisation that would benefit from this article, and has no relevant affiliations. If you’re an adult and have ever visited a doctor, you’ve probably had your blood pressure measured. General practitioners tend to obsess over blood pressure. But with good reason: hypertension, or persistently high blood pressure, can lead to heart disease, stroke and diabetes, the nation’s biggest killers. 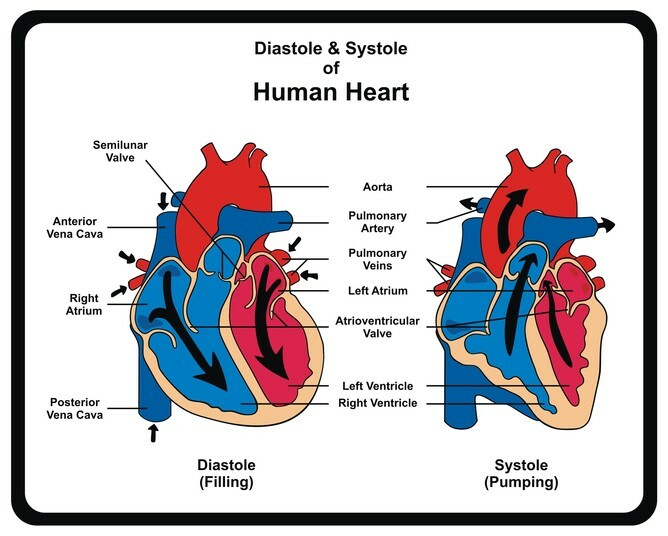 Blood pressure refers to how hard the blood is pushing against the wall of arteries – these can be thought of as the pipes that deliver blood from the heart (the blood “pump”) to the rest of the body. This pressure is necessary for the blood to flow. Using a plumbing analogy, imagine the effect of a drop in water pressure to water flow from the garden hose. Blood pressure naturally varies throughout the day depending on posture, activity and stress. It can also be elevated or lowered as a consequence of illness or disease. Stephen Hales, an 18th-century English clergyman and scientist, first measured the blood pressure of animals in a series of experiments that involved inserting tubes into their arteries. 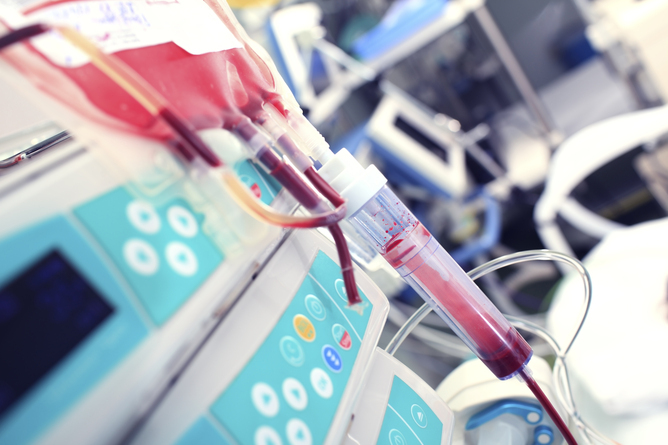 In one experiment with a horse, he describes the blood rising to eight feet in height in the tube! Blood pressure measurement would almost certainly be unpopular if it involved inserting long glass tubes into people. Happily, Italian physician Scipione Riva-Rocci developed the conventional sphygmomanometer, or blood pressure meter, in 1896. Soon afterwards, Russian physician Nikolai Korotkoff discovered the sounds that can be heard with a stethoscope over the inner elbow while using a sphygmomanometer. His technique remains the standard method for measuring blood pressure today. 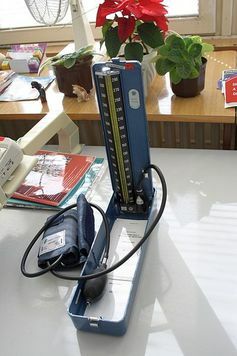 Interestingly, the conventional sphygmomanometer uses a column of liquid mercury to indicate the pressure. As mercury is so much denser than water or blood, even very elevated blood pressures result in it rising no more than about a foot. This quirk of medical history gives us the modern measurement unit for blood pressure: millimetres of mercury (mmHg). A blood pressure measurement of 140 mmHg literally means that the pressure will push up a column of liquid mercury 14 centimetres. Two numbers are given when reporting blood pressures, such as 140/90 mmHg. The first number is the systolic blood pressure. This is the pressure when the heart is contracting to pump its content of blood into the circulation. The second number is the diastolic blood pressure. 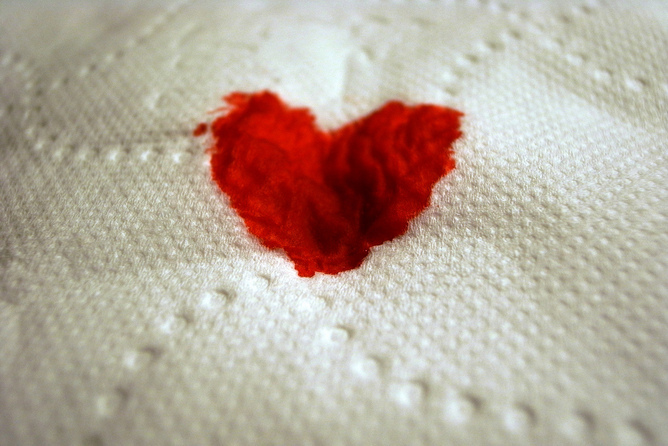 This is the pressure when the heart is relaxing and is refilling with blood. Diastolic blood pressure: 60 to 89 mmHg. These thresholds are arbitrary, but a blood pressure less than 140/90 mmHg is not labelled as high. We’re also moving away from categorical descriptions of hypertension, based on blood pressure reading alone, towards a model where blood pressure is considered alongside other risk factors to determine whether drug or lifestyle interventions are needed. Clinicians now calculate the patent’s absolute cardiovascular disease risk: the probability they will have a heart attack or stroke in the short and medium term, which includes age and cholesterol levels. This calculator can help you work out your absolute disease risk. Keep in mind that visiting the doctor can provoke anxiety, so the blood pressure can be elevated in response to the testing procedure itself. This has been called the “white coat effect”. If this is suspected, your GP might try recording your blood pressure over a number of visits, or use ambulatory or home blood pressure monitoring to get an accurate reading. This article was co-authored by Dr Patrick Khoury, a GP registrar at the General Practice Unit, Fairfield Hospital.